Karlštejn Castle (hrad Karlštejn) is a large medieval castle located in the town of the same name near the capital city Prague. 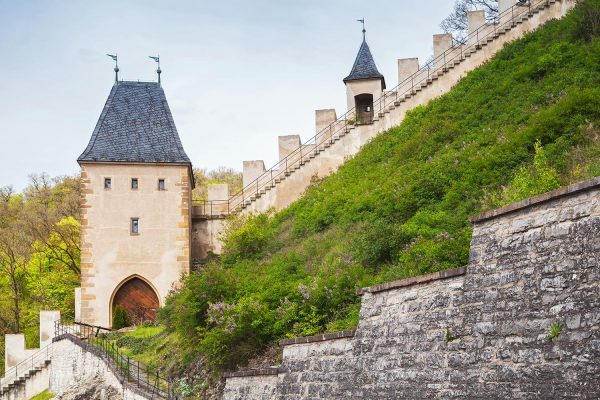 Karlštejn Castle is very popular among tourists and it is a perfect place for a day trip when you’re staying in Prague. It was founded by the Bohemian King and Holy Roman Emperor Charles IV in 1348. 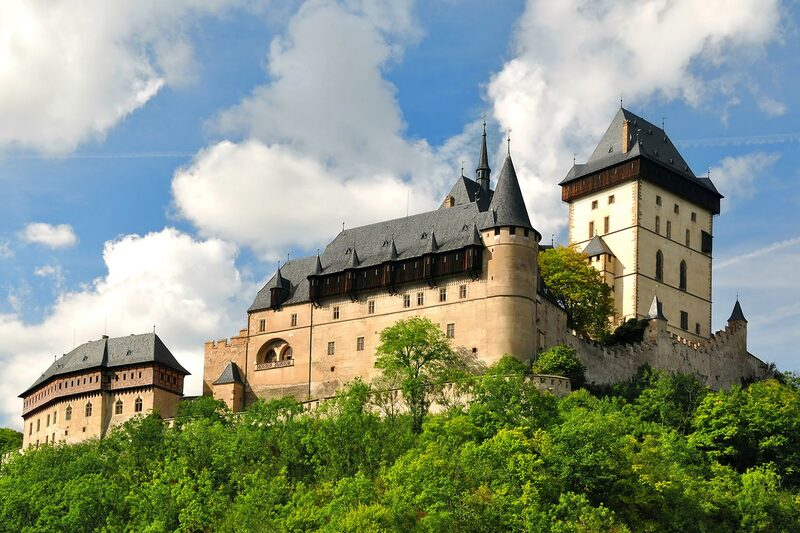 The castle was completed in 1365 and Charles IV used it for storing royal treasures, holy relics and the crown jewels. It is the same king who is the patron of the famous Charles Bridge in Prague. Karlštejn is only 33.8 km (20 mi) away from the center of Prague and getting there from the Czech capital is easy. There are frequent trains from Praha hl.n. 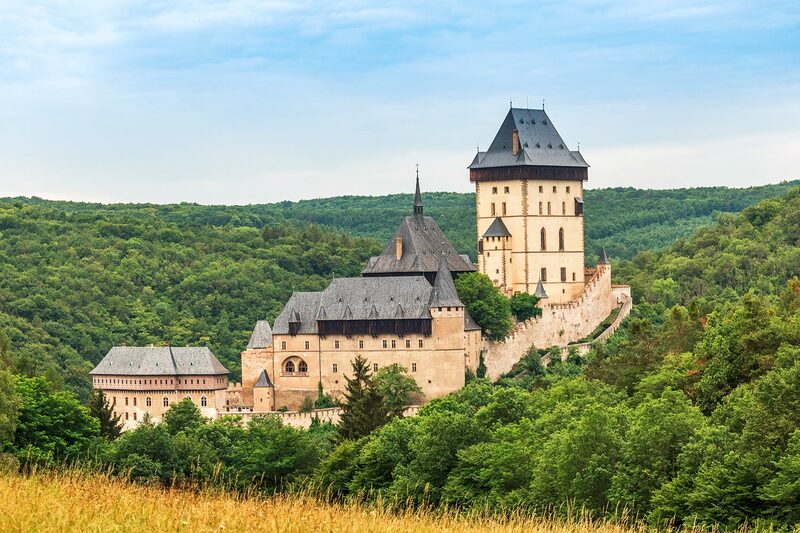 to the town of Karlštejn and the journey takes only about 40 minutes. Upon arrival it is hard to miss the way leading to the castle. When in doubt, follow the numerous tourists going there as well. As the castle is situated on a hill, getting there obviously involves walking uphill. If that is not your thing, you may take a taxi or a horse-drawn carriage. The opening hours of the castle are somewhat complicated and may be different for various parts of the castle. 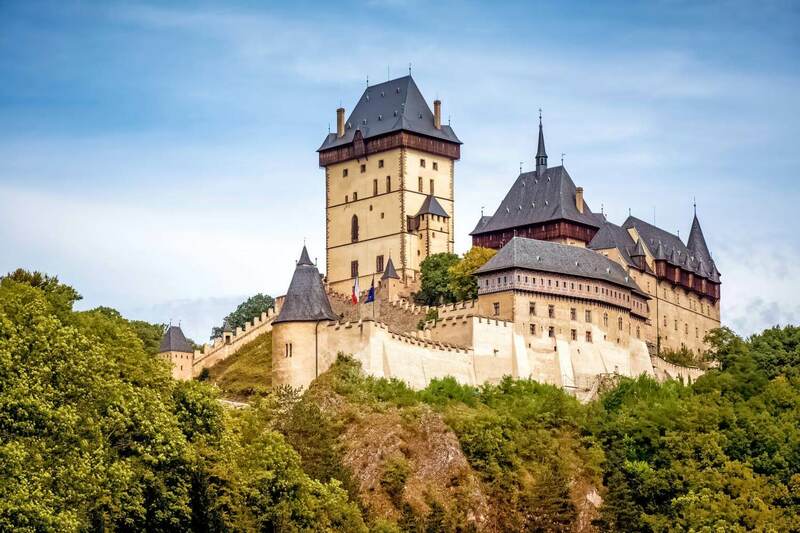 It is best to check them in advance on the official website of the castle.